I'm still figuring out my posting schedule, and working on balancing everything going on (see this post here), but I wanted to make sure I talked about Thrival before too much time passed. This was my first year taking part in Thrival, so I didn't know exactly what to expect, but I was completely blown away by the whole experience. I don't want to bore you all with a minute-by-minute recap of the whole event, but I do want to give you an overview of the scope of the whole festival! For those who haven't heard of it at all, Thrival is basically Pittsburgh's version of South x Southwest - a tech conference, plus a concert. But the tech conference isn't just a one-day, standard conference affair. Instead, it was a day and a half filled with all different kinds of programming. 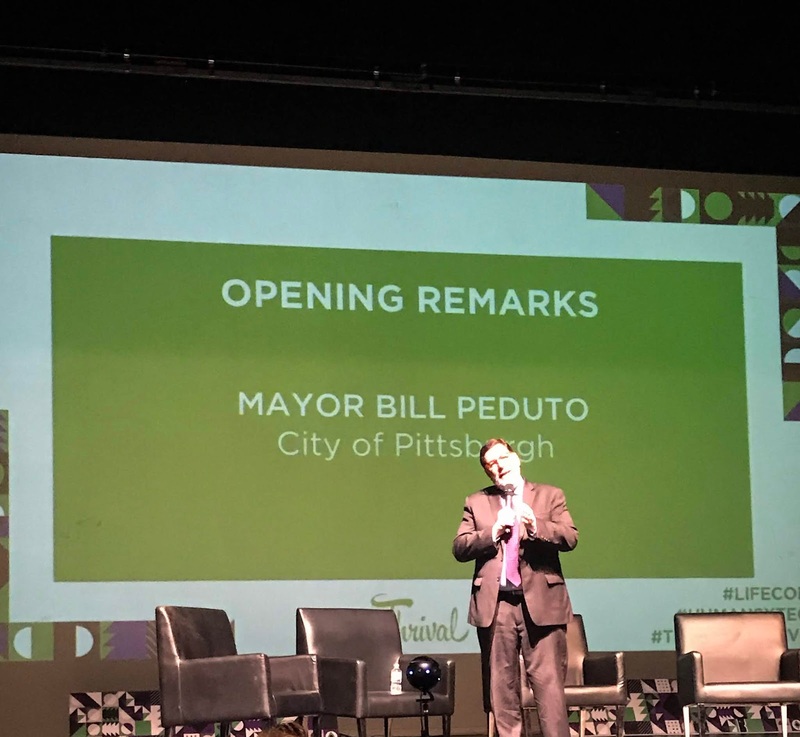 Wednesday evening started out with the Future of Work Symposium at the Kelly-Strayhorn Theater, Thursday was the all-day LIFE.CODE Summit at Phipps Conservatory, and Thursday evening was the Interactive Experience jointly held with the Carnegie Museum of Art's "Third Thursday" series. Each program had a slightly different focus, but each was looking at the intersections of humans and technology, and what that means for the future. This meant discussion about AI, VR/AR, and machine learning... but also about how we learn, the jobs we have, and how technology is, or could, change that. 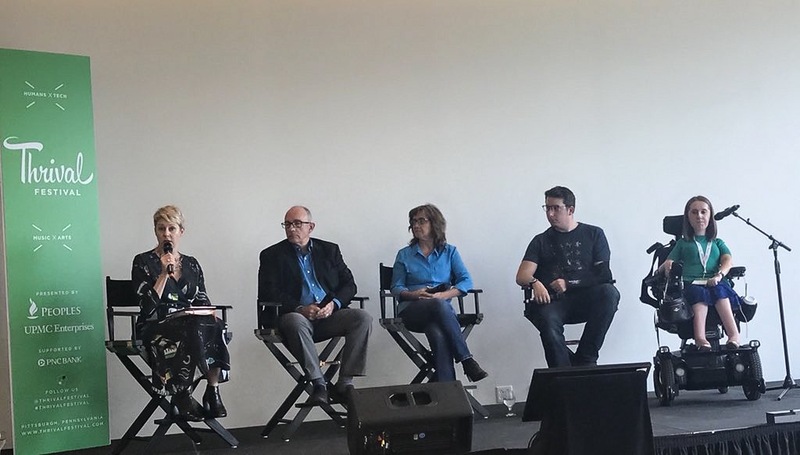 I had the opportunity to speak on a panel about the future of "smart cities" during Thursday's Summit. We had an amazing discussion about what makes a city smart, and how we can use technology to make cities smarter and better for all of their residents. I was glad that I could provide the perspective of someone who uses a wheelchair, and could benefit from a city that was smarter. 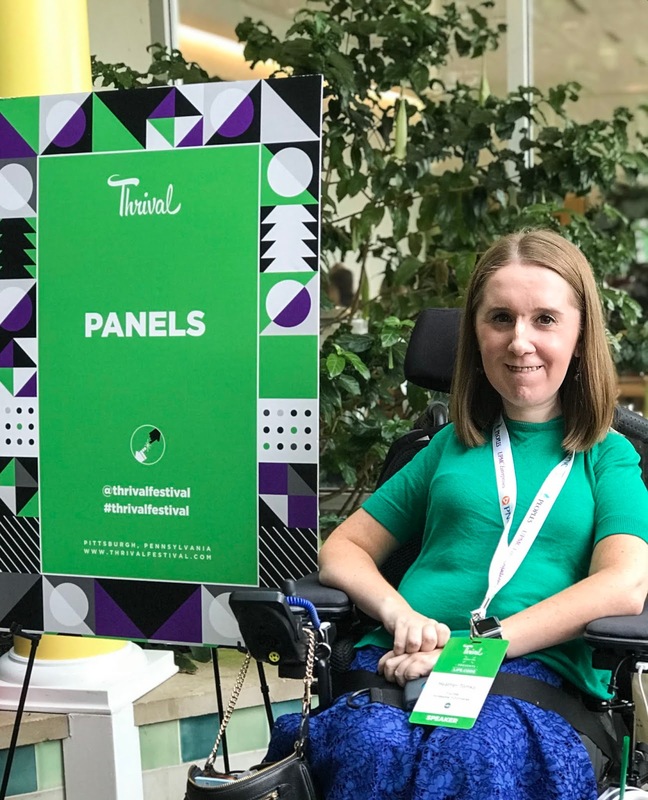 I was so impressed by everyone's viewpoints, and also the Thrival team's dedication to putting together smart, inclusive panels. Impressed and inspired really are the two words that come to mind when I think about the conference, as a whole. Impressed by the Thrival team for putting together such amazing programs, and impressed by the speakers, panelists, attendees, and conversations that went on. And inspired by all of the incredible thoughts and ideas that came up - there really are people who are working hard to better the lives of everyone around them, and I think that's something we all need to be reminded of right now. And we can't forget about the music festival! 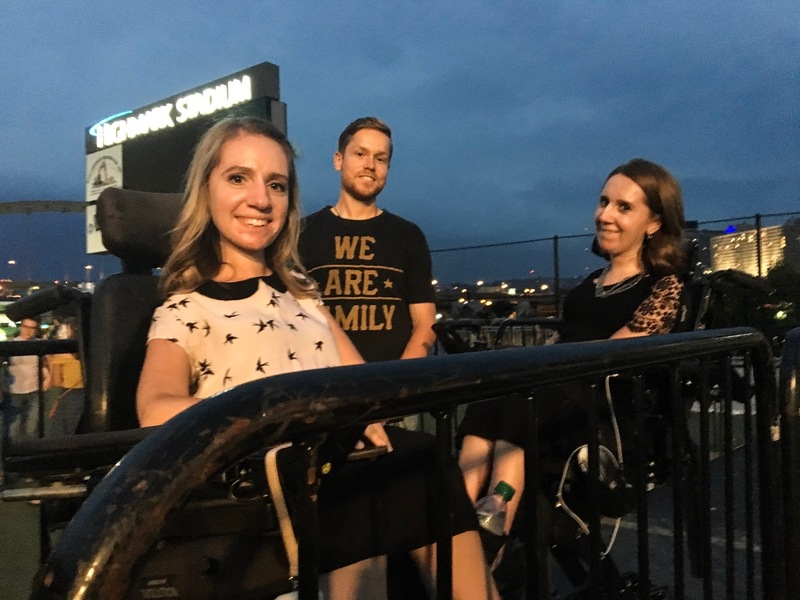 I talked in my other post about helping to make Thrival more accessible (here), and what does that mean for a general admission seating outdoor concert? A platform for attendees who use wheelchairs! My sister and I were so excited to have this - it's such a small thing, but is such a huge gesture towards inclusion. The weather, unfortunately, didn't exactly cooperate, but we had a fun night nonetheless. It was a great way to wrap up the busy and exciting week of Thrival fun.